Katherine is a classic. Today’s let’s take a look at one of Katherine’s many cousins. 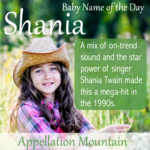 Thanks to Katerina for suggesting her name as our Baby Name of the Day. Katherine is an evergreen name, with a long history of use, from saints and queens to actors and authors. As Katherine has travelled across languages, new forms have emerged. There’s the Spanish Catalina and Native American Kateri. In Russian, it’s Yekaterina. Katerina is also heard in Czech, Ukrainian, Greek, and Bulgarian, as well as other European languages. Spelled Katarina, it’s big in Scandinavia and Germany, too. It’s not a novelty, either. Katerina is recorded as a variant form of Katherine as early as the thirteenth century. The biggest boost for Katerina in the US comes to us from Germany via the Olympics. Katarina Witt won her first figure skating gold medal at Sarajevo in 1984. She repeated the feat in 1988 at Calgary. Women’s figure skating is among the most popular sports in the winter games. In 1988, Witt faced American Debi Thomas in “The Battle of the Carmens.” Both women were skating to music from Bizet’s opera. Witt brought home the gold, while Thomas had to settle for bronze. Witt also won six consecutive European championships, and embarked on a wildly successful professional tour. As if all that wasn’t enough, she skated for unified Germany in the 1994 Lillehammer games. Witt has stayed in the spotlight, as a judge on the UK’s Dancing on Ice, as well as Stars auf Eis in Germany and a sometimes-actor. Others by similar names in the same era included fellow figure skater Ekaterina Gordeeva, part of gold medal winning, crowd-favorite pairs duo Gordeeva & Grinkov. But there’s no question that Katerina – in all of her possible spellings – rose as Witt became an international superstar. Katerina was seen sparingly in the 1950s. There were 106 newborn girls given the name in 1989. Katerina peaked with 258 girls in 1998, when the name ranked #806 in the US. By 2014, there were 206 girls given the name. Katarina followed a similar pattern: a few girls in the 1950s, and then in 1988 – the year of Witt’s second gold – there 173 girls, reaching a peak of 522 in 1994. The number dropped to 187 newborns in 2014. The Italian Catarina had a much steadier history of sparing use. The peak was 84 girls in 1993 – and again in 2001. Could that early 1990s peak also be the impact of Witt? 56 girls were named Catarina in 2014. Caterina is also Italian, and also has a long history of occasional use in the US, and also increased in use in the 1990s. 60 girls were given the name in 1994, and 67 in 2014. An early Katerinas is actress Kat Graham, of The Vampire Diairies – born Katerina in 1989. (That’s her in the picture.) The series also included a character with the same name. We can’t give all the credit to Witt. The 1990s were the age of Caitlin and Kaitlyn. Kayla, Kaylee, Kylie, and Courtney were climbing. Katerina hit the right note – feminine and traditional, nicely on trend. And, of course, William Shakespeare’s Taming of the Shrew includes sisters named Bianca and Katherina – pronounced like Katerina. So there’s a literary tie to this name, too. Despite an upswing in usage in the 1990s, Katerina was never common. Instead of feeling dated, Katerina seems undiscovered. 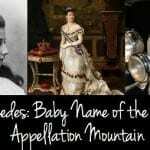 And that makes the name a great option for parents after something feminine and traditional, but just a little bit different. What’s your favorite form of Katherine? Is Katerina high on your list – or do you prefer Catherine or Kaylee or Karen? I love Katerina. But my “Katherine” favorite is Katja. I was born soon after Katerina Witt won her gold medal. My mother says that had nothing to do with it, rather she just picked up a baby name book and started at the A’s and read out loud to my dad all the names she liked, and skipped the ones she didn’t. Had they not made it to the K’s I would have ended up Aimee. Thanks for posting this Abby! I don’t think this is a Katherine variation, but I’ve always loved Keturah. Katarina is one of my favorite names. Katerina Witt was definitely the reason behind it. I have yet to meet anyone with either spelling. Katrina is my favorite form of the Katherines, though since the hurricane the spellings Catrina and Catriona have grown on me, since it’s less associated with tragedy. 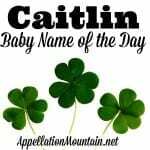 My second daughter is Caterina, after my Dutch great-grandmother Catherina, spelled the Italian way because my husband is from Italy. I always loved her name, Catherina Louisa Mannaert, and was happy that I got to use it. What a gorgeous name, Anne! I know this is an old post, but who knows… Maybe you are still reading it! 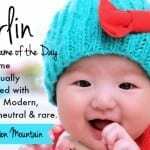 We are Italian too and we live in the US; we are thinking about using the name Caterina, but we are worried that it is a difficult name that people will mis-spell and mis-pronounce… We already have a difficult Italian last name, and the baby will already be in trouble! Can you share your experience with the name? Caterina Louisa is a gorgeous combination!